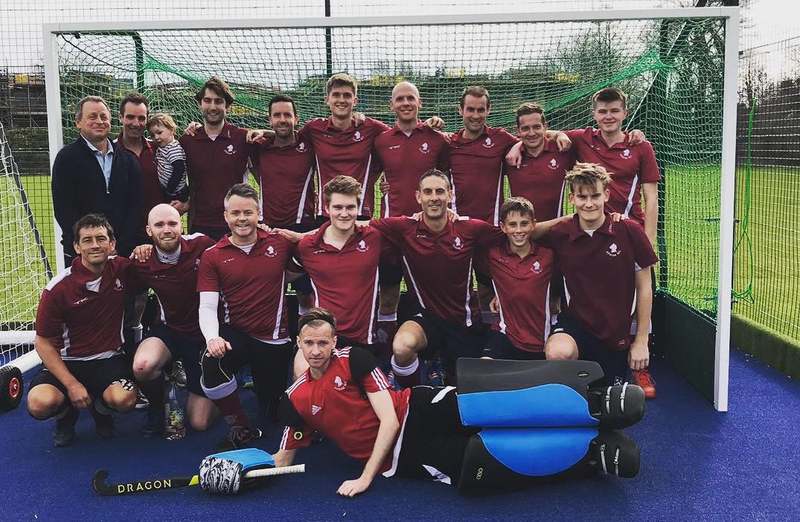 The Mens’ 1s clinched the Surrey / Hampshire League 1 title with a 2-2 draw against Bournemouth, their closest challenger, on Saturday at Old Schools’ Lane. 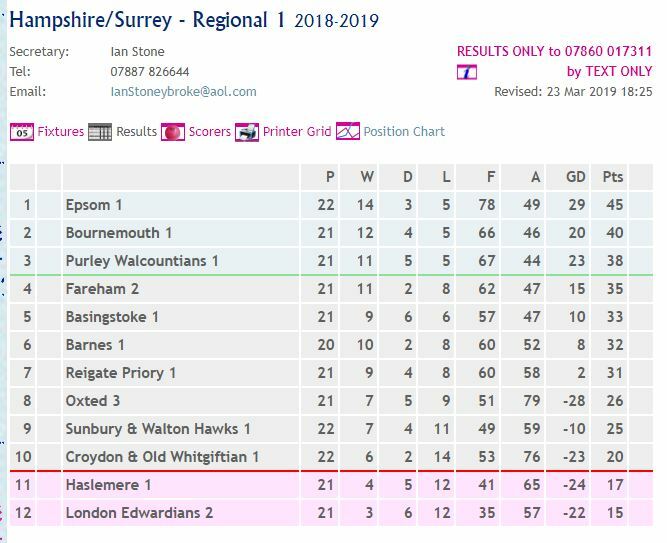 Epsom had been well-beaten at Bournemouth before Christmas but this time opened up in determined mood; centre-back duo Joe Lazell and Brett Hosken dictated possession calmly in the early stages with Jack Marfleet looking dangerous in the centre. Following some early chances a neat move down the inside-right channel played in Will Hunt who crashed home a reverse stick drive for 1-0. 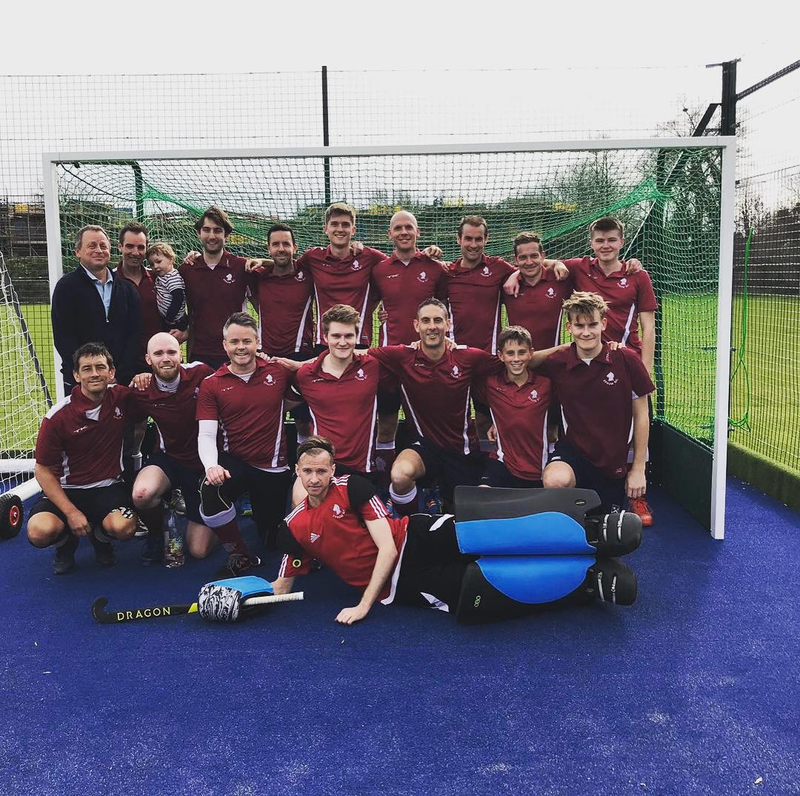 Epsom continued to control possession but Bournemouth looked dangerous on the counter-attack through a strong, quick centre-forward and James Tuck made a few alert stops to keep Epsom 1-0 up at half-time. Epsom flew out of the blocks in the second half with a steady stream of chances forcing an impressive range of saves from Bournemouth’s ‘keeper. Eventually, some neat work from Paul Atkinson and Nico Orr played in George Hunt to fire home for 2-0. Bournemouth now started throwing more forward but Epsom worked hard and Lazell in particular was superb at shutting down attacks early. Bournemouth’s centre-forward forced a couple of fine saves from Tuck, who then bravely carried on through an injury. With the final 10 minutes approaching nerves understandably set in and Bournemouth threw everything forward. With 7 minutes to go Bournemouth snapped up a rebound to make it 2-1, and with just two minutes to go the visitors converted a fine short-corner flick for 2-2 to set up a grandstand finale. The tension was by now almost unbearable, but Epsom held out solidly to set off jubilant scenes around Old Schools Lane.